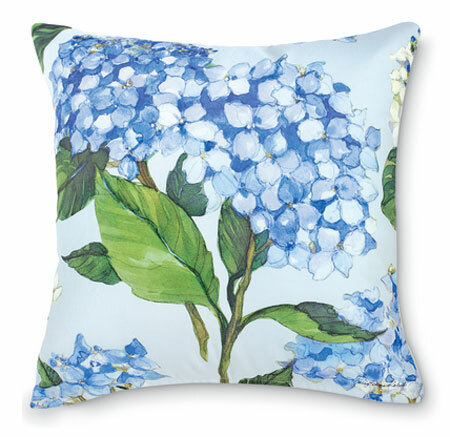 This lovely pillow features arrangements of blue and white hydrangeas against the baby blue of a summer sky. The art is hand-printed on 100% polyester fabric that feels like cotton. 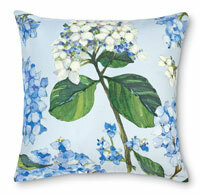 The pillow is fade-, mildew- and weather-resistant. Polyfill insert.